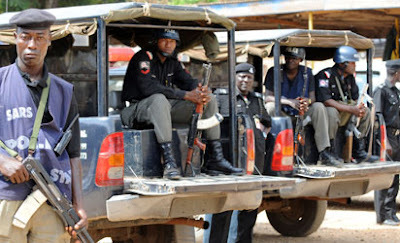 The police command in Kwara on Wednesday in a press statement said it deployed 1,500 personnel across the state to ensure security of lives and property before and during the Eid-el-fitr celebration. Eid-el-fitr is an Islamic celebration to mark the end of the Ramadan fast of 29 or 30 days. The Commissioner of Police, Kwara State Police Command, Cp Aminu Pai Saleh, fdc, psc+ on behalf of himself, officers and men of the Command congratulates Muslim Faithful in Kwara State on the successful observance holy month of Ramadan. 2. He wishes to assure members of the public of the preparedness of the Force to provide adequate security for lives and property of Kwarans before, during and after the celebrations. 3.One thousand, five hundred (1500) police men and women derived from all the departments have been deployed in Ilorin metropolitan area, while adequate provision has also been made to security other parts of the state. 4. Islamic Clerics are advised to shun inciting and seditious preaching, the Eid praying ground is neither a campaign nor partying venue, hence,political statements, slogans and gatherings will not be accepted at the praying venue. Criminals are advised in their own interest to change their ways, the Command will not hesitate to arrest and prosecute any law breaker. Finally, the general public are advised to report any suspicious movements in their area to the Police through the phone numbers below, 08125275046 08032365122, please.